The deadline is fast approaching to help out the community surrounding DDI Commercial in Overland Park by buying trash bags as a fundraiser for a local youth group. Every year Lee Summit’s Baptist youth group attends either a youth camp or a mission trip. This year, they are planning a mission trip that will most likely take them from Texas to Juarez, Mexico. A participant’s mother describes the group as “a very well organized and well led group of high school aged young men and women,” and stressed that this mission trip is a potentially life-changing opportunity for these students to grow as leaders. The trash bags are heavy duty and durable for many uses throughout the year. All of the options are $10 per roll. Place your order quickly, because the fundraiser only goes until 2/14! You can pay by check (payable to LSBT) or cash. Please contact Jake at Adohertyb4@aol.com or by phone at 816-506-1836, or visit the Southcreek website for more information. 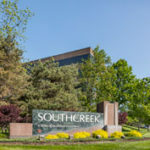 To find out more about how Southcreek offers office rental space in Overland Park and connects you to the surrounding community, give us a call at 913-685-4100!